During the late 1800s and early 1900s the competition among tobacco brands was extremely fierce. 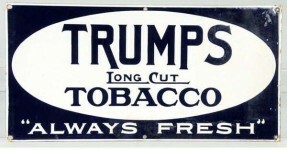 Tobacco manufacturers realized that the best way to advertise was to send signs out to country stores and point of sale locations. Reports indicate that national tobacco brands during this time period sometimes spent over 1 million dollars per year on advertising budgets. Because this was the only advertising that most people would see these porcelain tobacco signs were designed to be colorful, eye-catching, exciting, and memorable and those traits are what make antique porcelain tobacco advertising so collectible today. 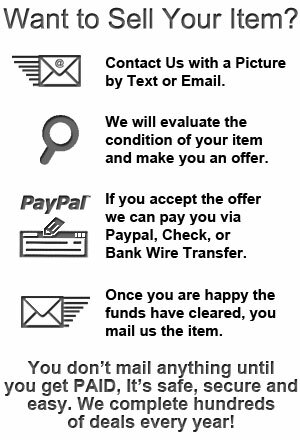 Feel free to view our gallery of signs below, and remember that if you have one of these signs they may be very valuable collectibles and you can Contact Us for a value and possible and offer.